Billy Troy has achieved an extensive and exciting career in the entertainment industry. Starting with his father, Bluegrass Hall of Fame member Uncle Josh Graves, who is the legendary dobro player for Lester Flatt & Earl Scruggs. Billy spent every Friday and Saturday night of his youth standing backstage at The Grand Ole Opry watching his dad perform for record crowds. Feeling the excitement during each and every one of those performances molded Billy into the entertainer he is today. As a young man, Billy stood in the coveted spot himself performing for Opry audiences and also had the honor of being introduced by Mr. Roy Acuff. The standing ovations and encores he received after those shows, stay with him as some of the most memorable times in his life as an entertainer. Billy penned a musical play documenting the times he spent backstage with his dad which was fittingly titled “Backstage Memories” and toured nationwide to sold out venues. 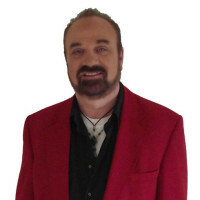 Billy’s success as a Nashville songwriter and music producer have garnered him several Grammy nominations plus a Grammy finalist nod for his performance and production work in the bluegrass and country music fields. Billy’s highly successful series of “Pickin’ On” productions for CMH Records include the CDs: Pickin’ On the Beatles, Pickin’ On the Eagles, Pickin’ On Disney, which is featured in the Lion King Show at Disney’s Animal Kingdom, as well as, “Pickin’ On Christmas” which Billy was honored to have “Sleigh Ride” from that cd featured in the Macy’s Thanksgiving Day Parade. Billy has performed an array of venues all over the United States, Canada & several tours in Switzerland, where he played for Zurich's annual Albisgutli Music Festival. Also, be sure to look for Billy’s exciting high energy tribute show to Billy Joel! The music of Billy Troy is as far reaching and unlimited as the performers who have influenced him. From Marty Robbins, to Billy Joel, to Michael Buble’….Billy’s show is one you’ll be sure to remember and want to experience again & again. So sit back and enjoy a “Ride Through the Decades” from one of Nashville’s very own.